I’m writing to inform you about the exhibition of the first series of products (and prototypes) developed in collaboration with the social enterprise called Atelier based in Florence, Italy. We are creating a line of products for home by reusing the advertising banners made of tissue commonly found in Florence streets. The Atelier craftswoman have had opportunity to express themselves through their tools, techniques and knowledge along with design thinking principles that were applied during the workshop realized from March to May. 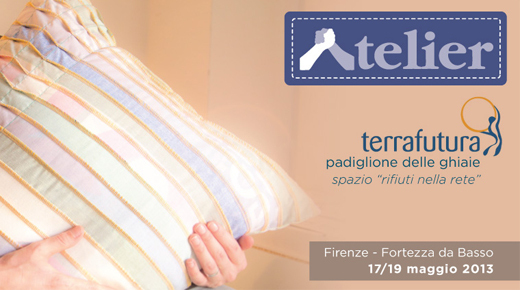 The outcome of the workshop will be exhibited during the Terra Futura fair in Florence, between 17th-19th March. The invitation can be seen right down here! PS: I’ll write about this work on my portfolio as soon in near future. The work is in progress!